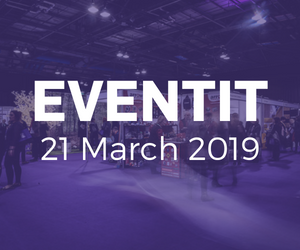 The E Awards – the annual awards ceremony for the Scottish events and festivals industry – officially launched today (FRI). Free to enter, the ceremony will take place this year on Thursday, June 13 at the Assembly Rooms in Edinburgh. Designed to celebrate the very best in events organisation, planning, execution and creativity, the E Awards are open to all events and festivals professionals – whether they are from a corporate, public, third sector, charity, agency, freelance, production, technology or event student background – it’s a platform for all events talent in the country to be recognised for their contribution to a £3.5bn industry. There is no limit to the number of submissions you can make or the categories you enter. Just do it before Friday 12 April! Sponsorship at the E Awards provides a unique opportunity to achieve outstanding exposure to a captive audience of corporate, association and agency decision-makers. It is also an opportunity for superb networking and for entertaining clients. 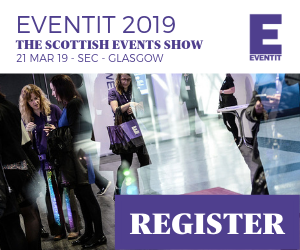 Sponsors enjoy amazing promotional activity reaching over 5,000 event industry professionals in Scotland via our weekly email newsletter and great brand awareness through EventsBase magazine.